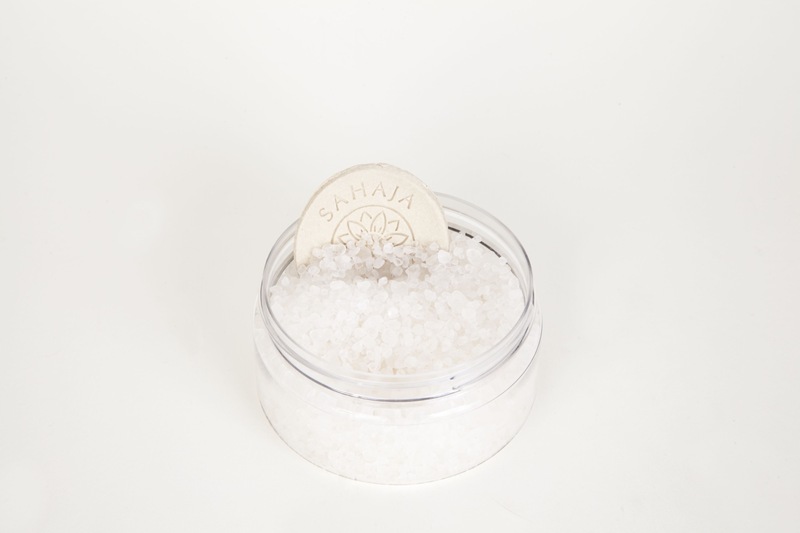 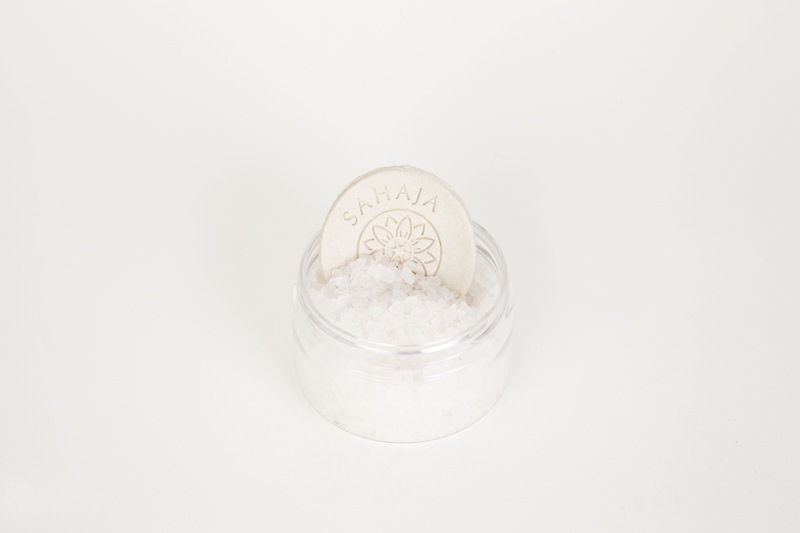 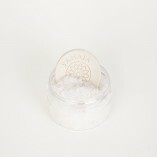 Dead Sea Bath Salts with therapeutic grade essential oils, including rose, frankincense and lavender. 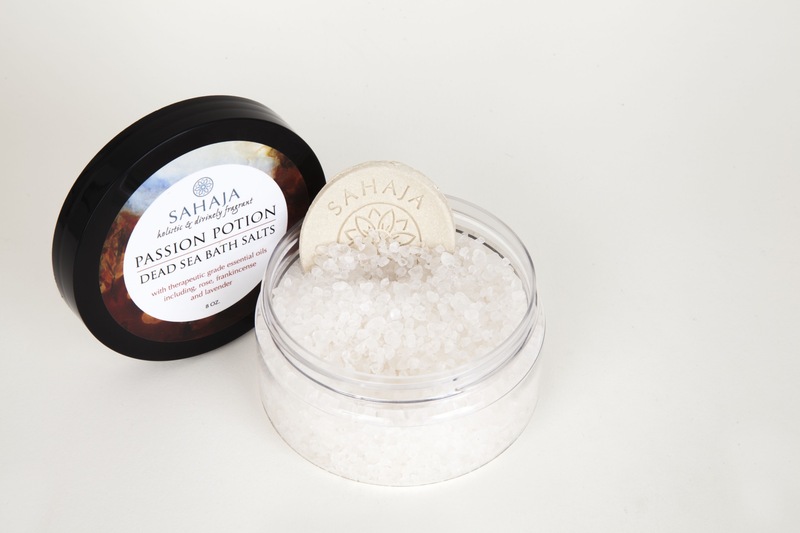 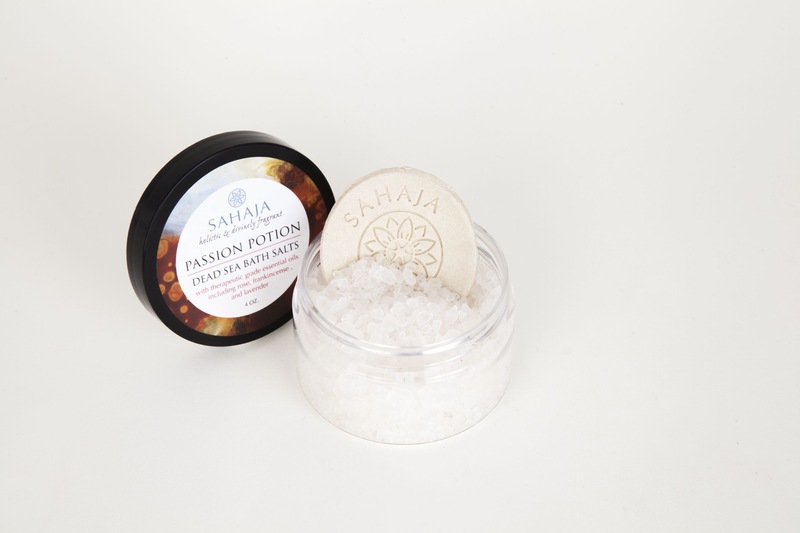 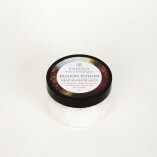 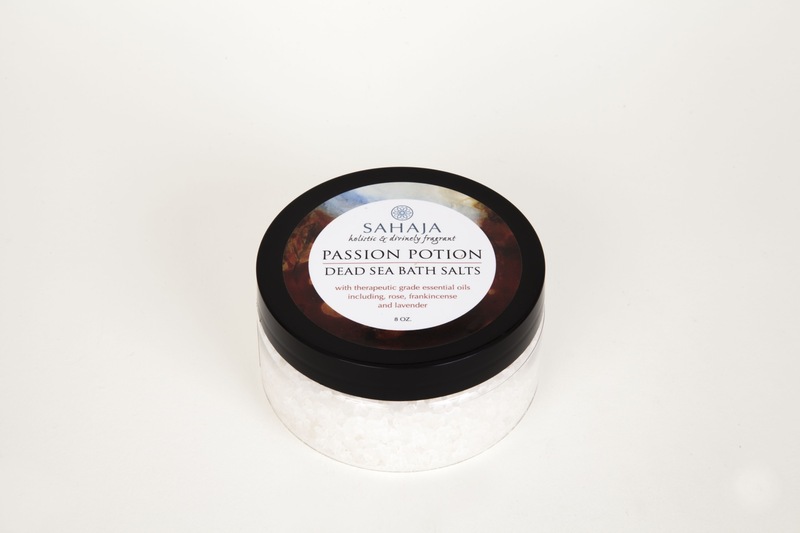 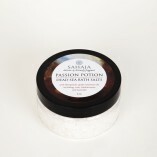 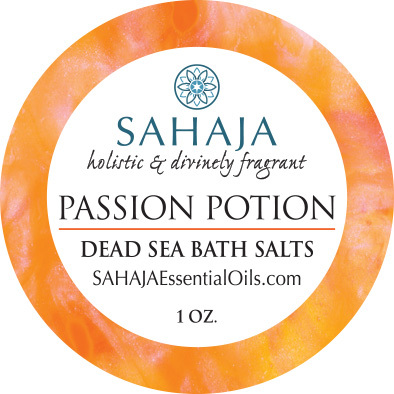 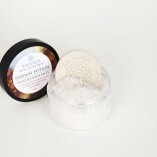 PASSION POTION DEAD SEA BATH SALTS is hand-crafted in small batches and made from the highest quality ingredients. 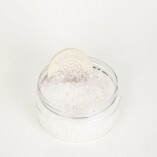 Botek large grain sea salt from the Southern region of the Dead Sea is sun-dried to preserve its high mineral content. 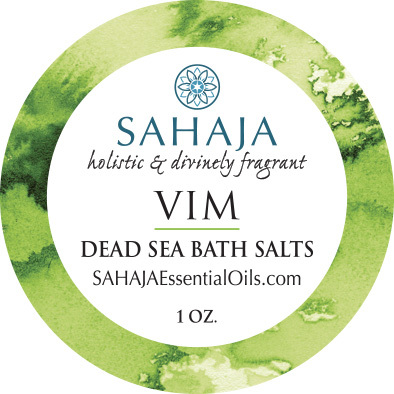 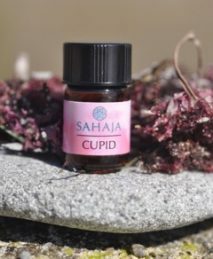 Abundant amounts of pure, unadulterated therapeutic grade essential oils (Ylang-Ylang, Neroli, Frankinsence, Lavender and Sandalwood) are blended into the sea salt so they have a divine fragrance and infuse your bath with the wellness benefits of each of the oils. 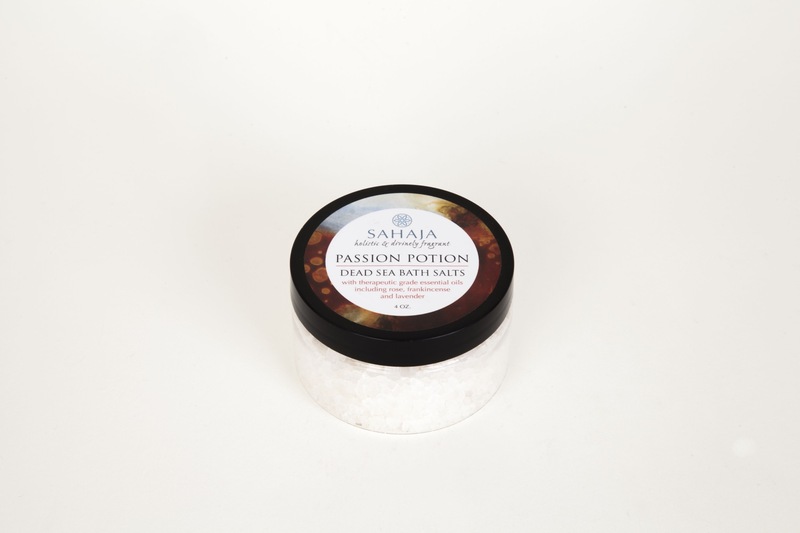 PASSION POTION has a warm, sensual scent…perfect for those moments when you want to relax in a sumptuous bath and dream about who and what you love. 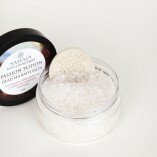 Every tub of PASSION POTION comes with an artisan ceramic scoop, imprinted with the image of a beautiful mandala. 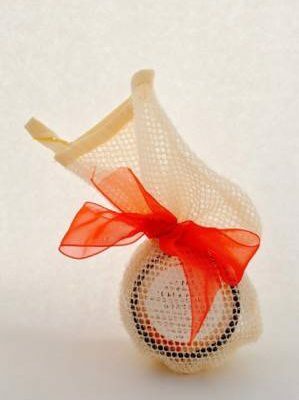 Individually crafted by Topangan potter, Kirsty Iredale, these scoops can be used long after your tub of PASSION POTION is empty.